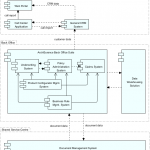 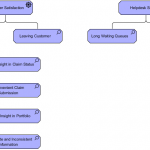 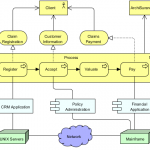 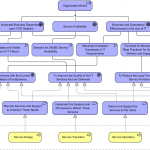 Here is an ArchiMate diagram example. 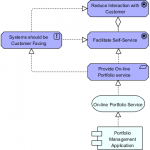 A Web Archive artifact (which may realize an application component) is composed of two other artifacts: Database Access Java Archive and Business Logic Java Archive. 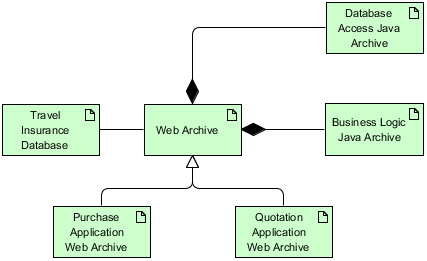 Two specializations of the Web Archive artifact are a Purchase Application Web Archive and a Quotation Application Web Archive. 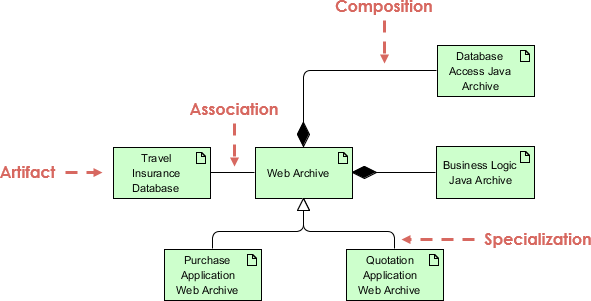 A Travel Insurance Database artifact (which may realize a data object) is associated with the Web Archive artifact.